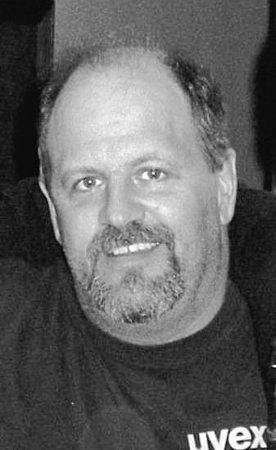 "Our thoughts are with you and your family Robert and Tracey..."
"You were so loved by so many, so much more than you may..."
"May your treasured memories of Robert always fill your..."
LUDLOW, Vt. - Robert Raymond Kirkbride, 56, of Ludlow, left this world on Feb. 6, 2019. He was born to Robert W. and Patricia A. Kirkbride on Nov. 13, 1962. He attended Ludlow schools and graduated from MSJ in June 1980. Throughout his life he was an outdoorsman, snowmaker, carpenter, logger, long haul and freight trucker. His latest employment was with XPO Logistics. Bob was a devoted family man enjoying spending time with his granddaughter in Maine, parents in Ludlow and extended Maine families. He is survived by his parents of Ludlow; son Robert James and wife Jenica and granddaughter Brynnley and soon to be grandson Maverick Raymond of Naples; son Joseph of Windham; sister Deborah Khiel and significant other Michael Fortin of Sweden, Maine, sister Martha Chessie and husband Christopher of Shapleigh; Kellie Kirkbride Westberry, the mother of his sons of Windham; partner Sharree Patria of Springfield. He is also survived by many loving nieces, nephews, aunts, uncles and cousins. A celebration of his life will be held on Thursday, Feb. 14, at 11 a.m. at the Church of the Annunciation in Ludlow. Calling hours for the public will be held at 10 a.m. followed by a mass, then a reception in the Parish hall. Davis Memorial Chapel is assisting with arrangements.